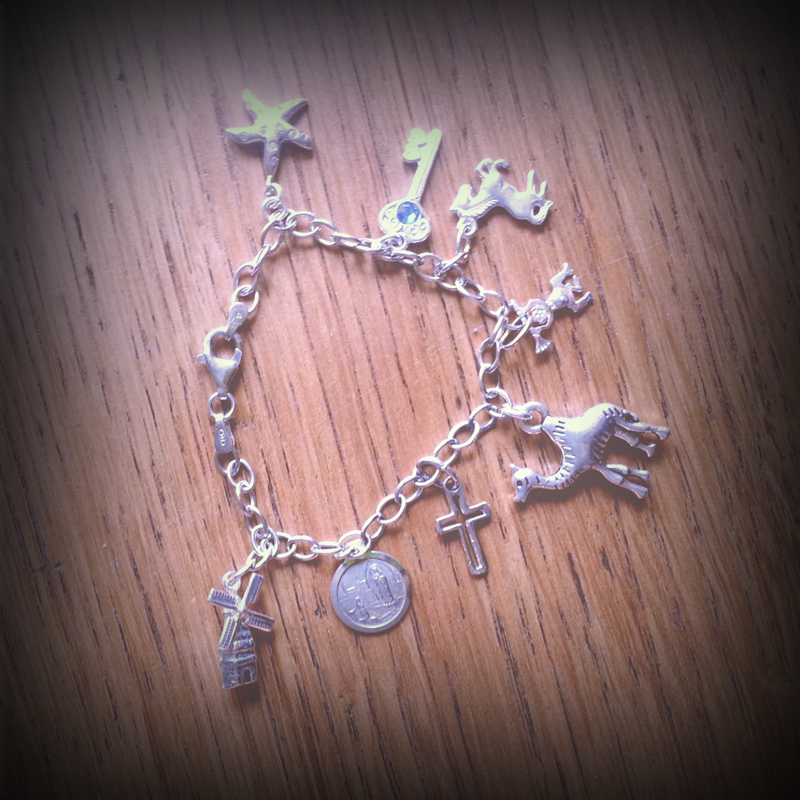 my charms bracet was ready today, I'm so happy with it, here is the result! the mill, bought in amsterdam, also a sign for the many train trips through Holland with my friend. The medal, from Lourdes, France. The cross, from Rome. Bought on a absolutely wonderful school trip to Florence, Pompeii and Rome. The camel, stands for my and a very dear friend of mine, it also became the 'symbol' of our group of friends. So this charm is very important. The little devil man, bought in Lanzarote, one of the Canary Islands, Spain. Been there last February. The horse, a birthday gift from two of my friends, about 2 years ago. The key, from Amboise, bought on one of the family holiday trips to France.